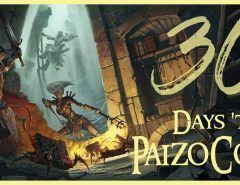 Alex Augunas & Ryan Costello were quickly live blogging our PaizoCon announcements! And since I’m stuck here at home, I’m pulling them all into this thread! We will have FULL video and audio of the banquet up soon, but here are the juicy details so far. STANDALONE ROLEPLAYING GAME THAT IS BACKWARDS COMPATIBLE. 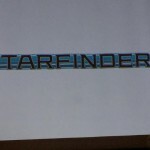 A backwards compatible science fantasy RPG, set in the Pathfinder campaign universe. 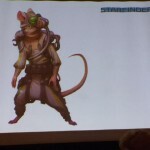 Features space battles, power armour, rat folk (introduced in Distant Worlds), and technomancers. 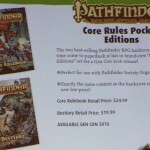 Starfinder Core Rulebook and first adventure path launch at GenCon 2017. 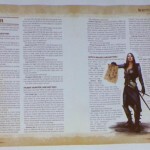 It will be published under the OGL with a compatibility license similar to Pathfinder. There will not be a public playtest, but select community members will be invited to private playtests. Science Fantasy. Advanced thousands of years into the future. 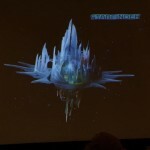 Ties into Distant Worlds. 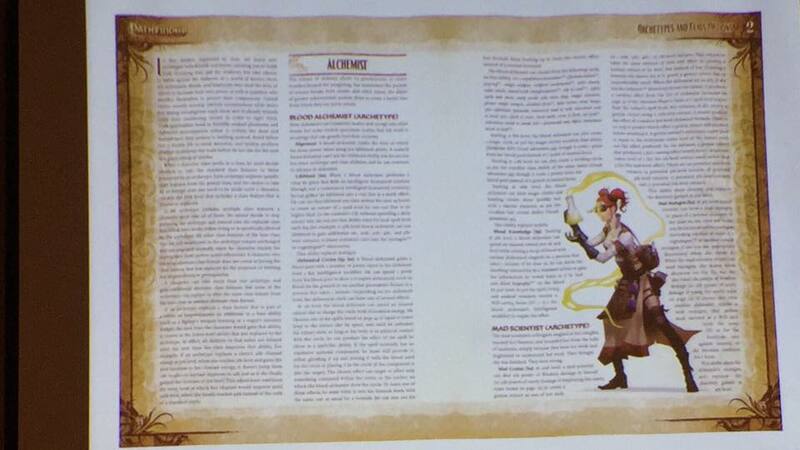 New science themed classes. Celelarian, techno made. 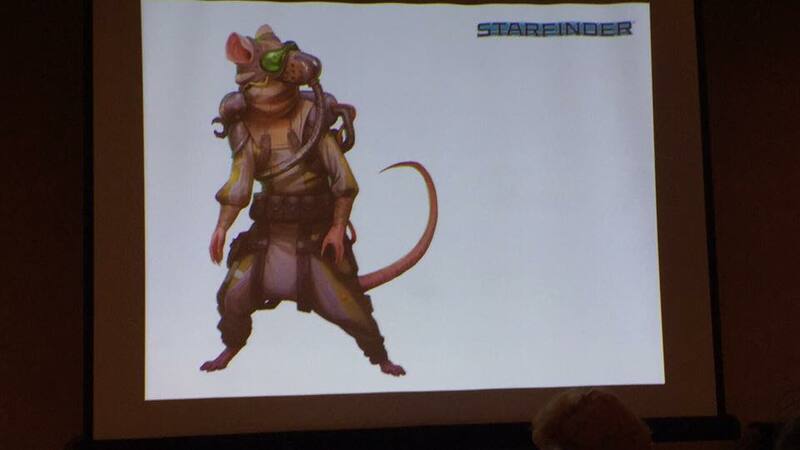 Akitan’s rat folk are a core race. 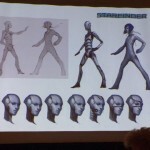 All of the races in Pathfinder are in Starfinder. Focus is on aliens, though. Androids are a core PC race. Corporations got ahold of android technology and make them. Golarion disappeared and the gods won’t say where it is. Absolam Station replaces it in orbit. 2017. 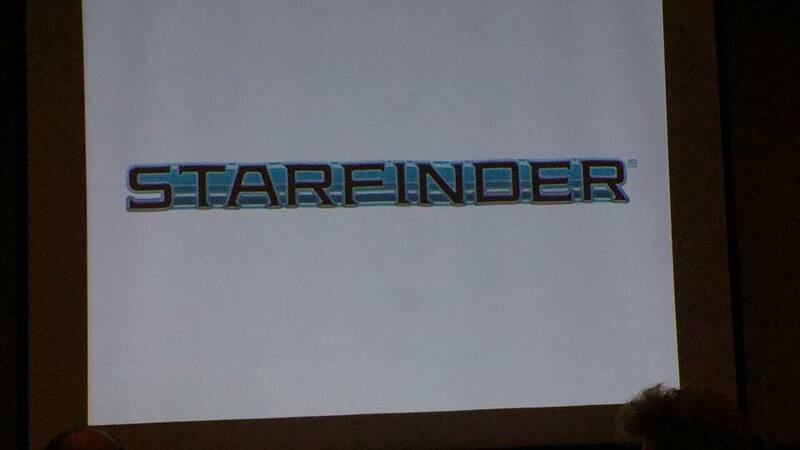 Also includes a Starfinder AP. OGL. They want 3pp to work with them. Sutter is Creativedirector. 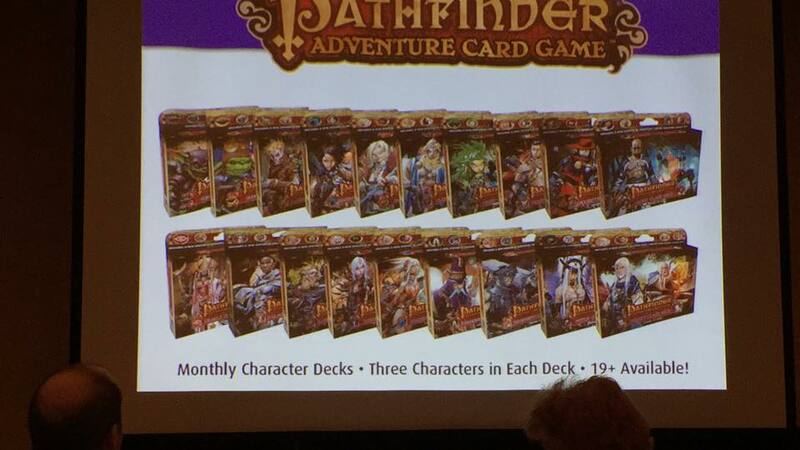 All Paizo on deck. Corruptions allow you to tempt your PCs. Expanded rules for fear: seven discrete levels. 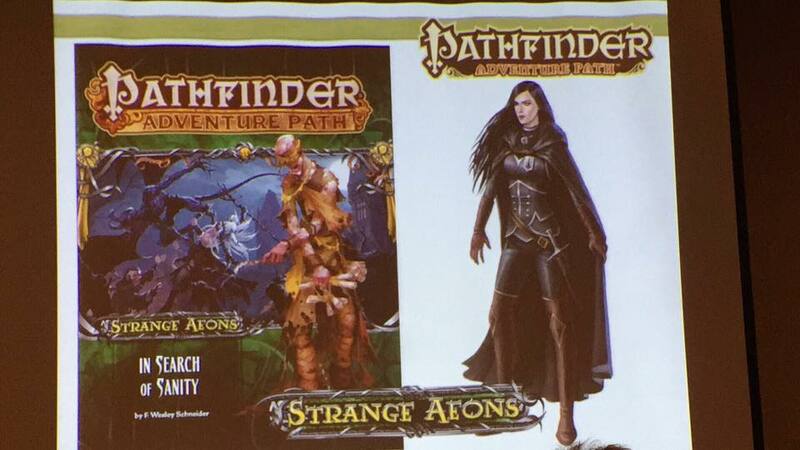 New archetypes. Many make for great villains. Made scientist. 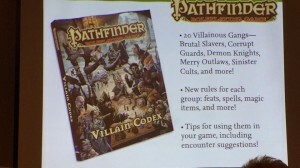 Mythos cultist cleric, amazingly cool investigator, vigilante archetype called serial killer. Disrupting fist. New story feats (TWISTED LOVE). Maddening Style make people insane with your punches. 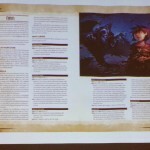 A dozen new monster feats. SKIN SUIT Skin someone and wear their skin as a suit. Contact rules for making contact with otherworldly forces. Decapitate, flesh wall, maze of maddness and suffering. Horrible maze. CLOWN CIRCUS MAZE OF DOOOOOM. New rules and subsystems. Curse templates. Disease makes you bleed all your blood. New environmental rules and hazards. Includes bat colony. Blood moon. Watchful doll. 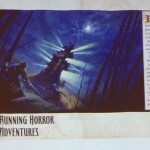 FLESHWARPING RULES AND HAUNTS OF ALL CRS AND HAUBT TEMPLATES!!! 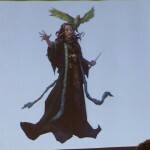 Some are arcane specific. Some are divine. Madness system. Rules for being burned at the stake or put in the guillotine. 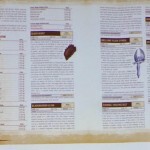 Cool and terrible magic items. Squeeze the black heart to hurt people. Book is not just about evil things. Good things too. 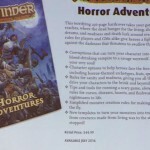 Book has a chapter of monster templates. Broken down into 20 groups. Arcane Society, Carnival Troupe, Death Cult, Fanged Monastry, Merry Outlaws. They had them at the show to show off! THEY ARE SO TINY. 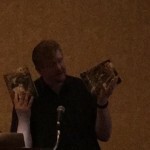 Available at GenCon. Uses flip mats for instant set ups and encounters. 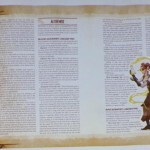 Dozens of vastly customizable encounters giving GMS the settings, foes, and options necessary to run campaign-ready encounters for heroes of level 1 to 20 – with no prep! 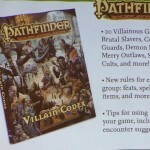 Each encounter uses Pathfinder Flip-Mats and pawns to create truly immersive came experiences. 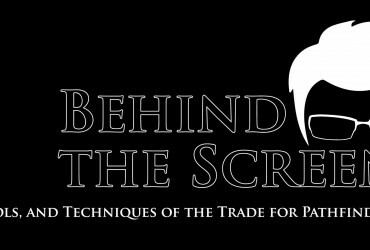 The techniques and magical traditions of sages and master trainers! Perfect rewards for heroes who want rewards beyond just coins. Pins don’t give a reroll. They will give a one-time per encounter benefit. The new faction pins don’t offer a reroll, but they will be tied to faction specific boons. Watch the blog for more details. Kids want more Kids Track. We want Kid Games everywhere. It is a three prong program. First, sets up a space for younger gamers. These are my tables, these are my people. This allows adults who don’t want kids at the table to make that choice. 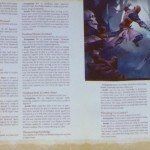 “PSA.” Younger players and GMs. 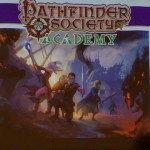 Pathfinder Society Academy will clarify the appropriateness of the scenarios, ease young and inexperienced players into the game, and train young GMs to be the next generation of Pathfinder players. Lessons will move you from 1st level to 2nd level. The pieces in PSA are for all new players, not just kids. 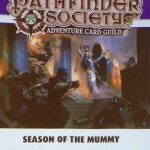 In between Season of Runelords and Season of the Mummy. This is a “miniseason.” Couple of new characters. 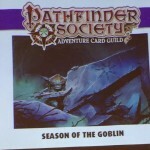 The Season of the Goblin will run in August and September. 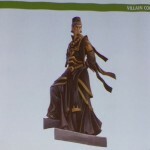 This will be followed by Season of the Mummy in October, to coincide with the release of Mummy’s Mask. 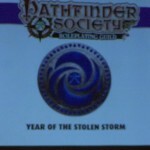 PFS Role Play Guild – SEASON 8 YEAR OF THE STOLEN STORM. We need to find and capture an artifact that has a goodly elemental lord stuck in it while fighting the elemental lord’s rivals. 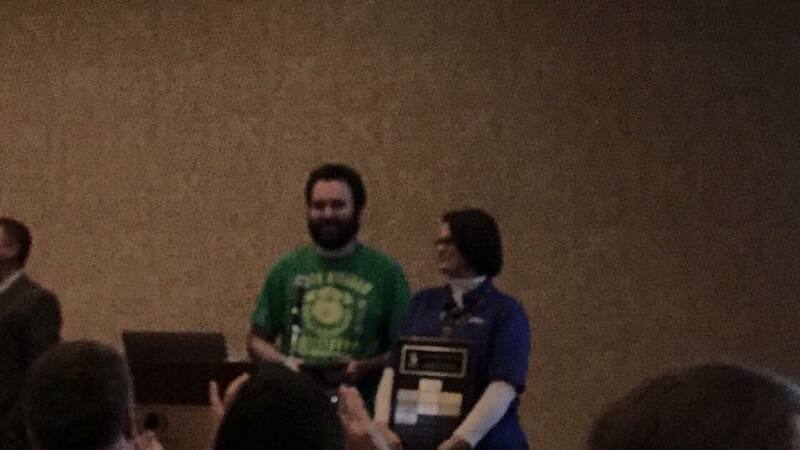 Tonya presents the 2016 Volunteer of the Yard award to a long-time volunteer who has been to every PaizoCon. Blake Davis! Horror set. Makes you scared to look at the cards. Like, your PC literally gets HURT if you look at a card. You can now sell your stuff in Mummy’s Mask game. 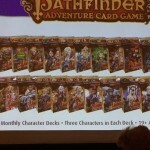 New character types. Includes characters who do things you never seen. One new character has 11 item slots. Goblins Fight and Goblins Burn. Pots you wear in your head. Spells that fire snot across the room. 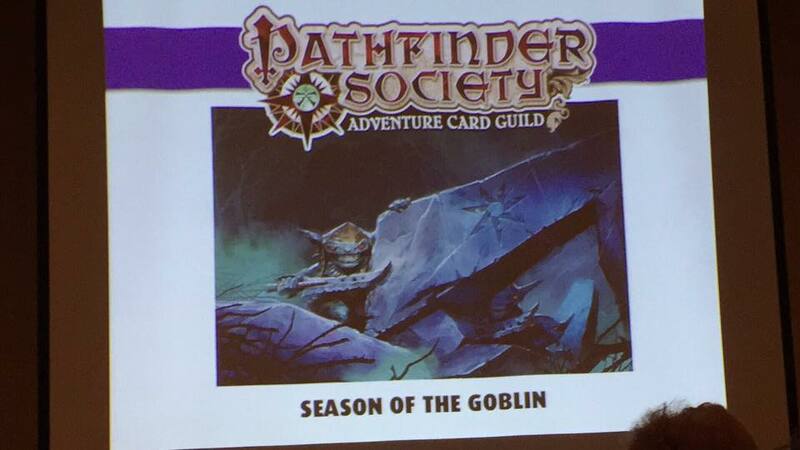 Everything you would expect would happen if actual goblins designed the set. 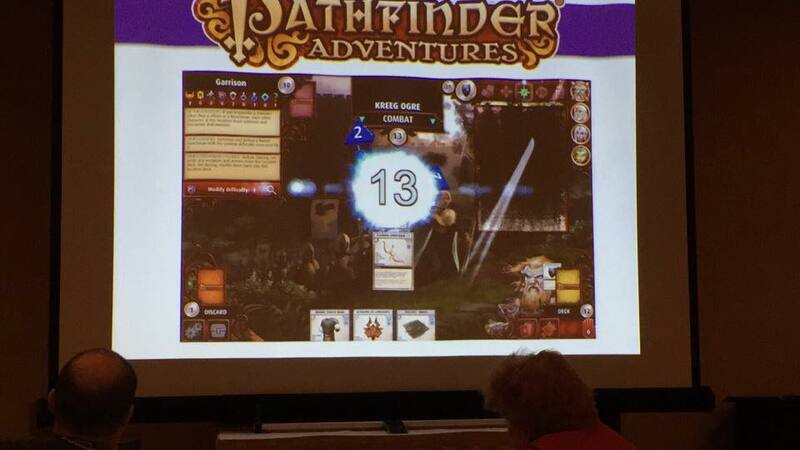 Pathfinder Adventures is being optimized for the phone soon. Continue to put out RotRL decks. More customization options. Dice skins! Check the color and look of your dice. 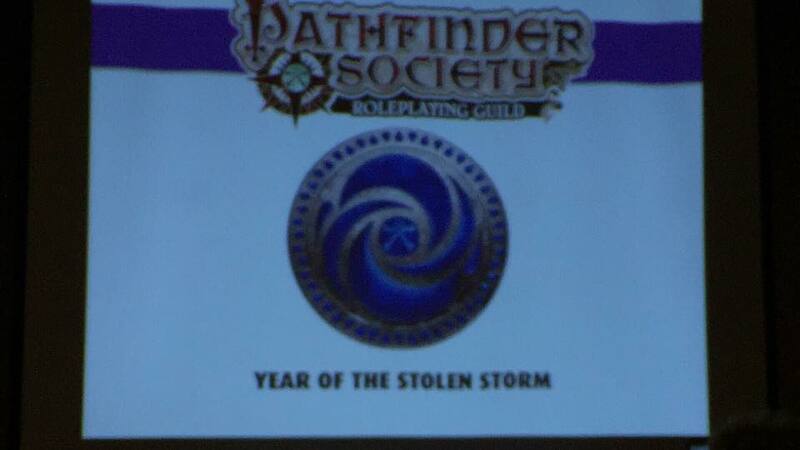 Hastur themed. 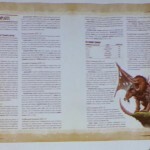 They are working a lot with Chaosium! New Great Old One in very volume. 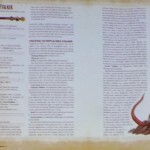 Article about the Necronomicon. Star vampire is normally invisible. He’s filled up with blood. Adam Daigle is developing it. 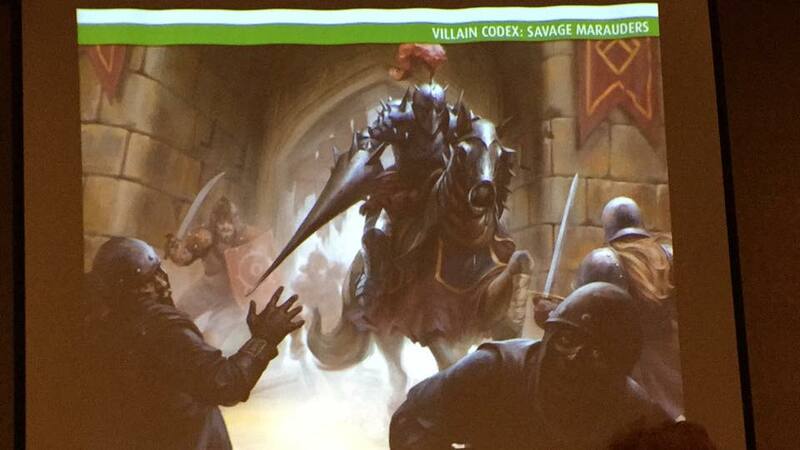 The Pcs are between Nirmthas and Molthune. 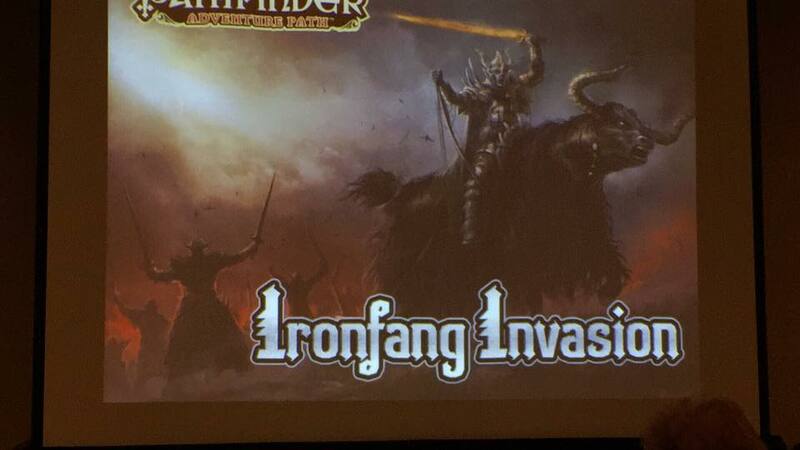 Hobgoblins take over. Throwback to classic monsters like miniature and medusas. 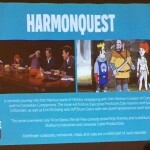 Developed by Crystal Frasier. 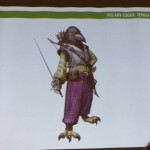 The PCs are all “Robin hoods.” Very Kind to animal companions and Druids. 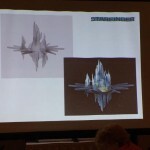 Changes to stuff in CotC. 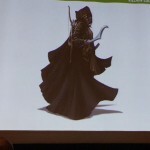 Blackjack will be a vigilante. 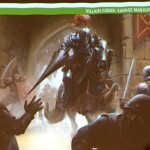 LOTS of new art for CotC. All the good art from the AP is in the CRB. Looked back at feedback and changed the AP so you don’t leave Korvosa. New mini adventures. 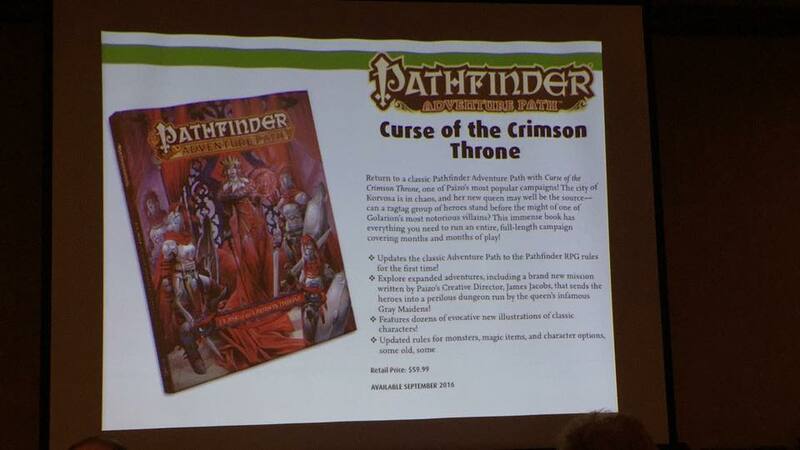 Curse of the Crimson Throne Syrinscape. 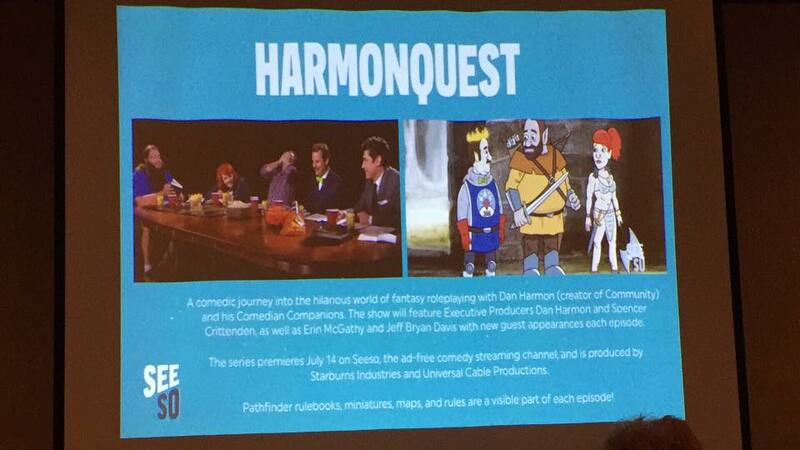 Pathfinder is coming to Harmonquest! 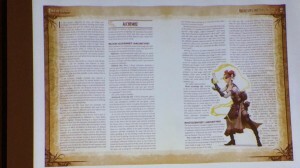 Pathfinder Origins Vol 4 Origins is available. Written by Mona, Sutter, and Schneider. Tells Ironic Stories backstories. 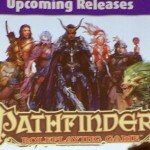 Pathfinder Hollow Mountain concluded. 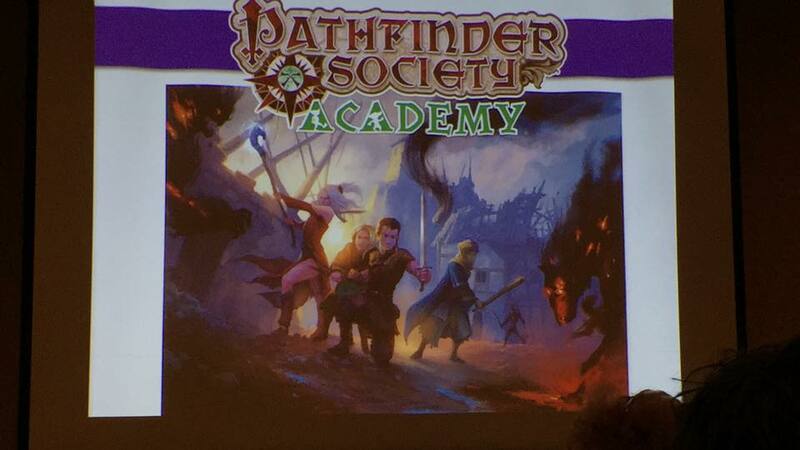 Rival Adventuring Parties. 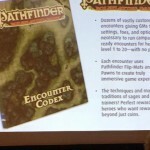 Dynamite has announced the next comic: Pathfinder Worldscape. 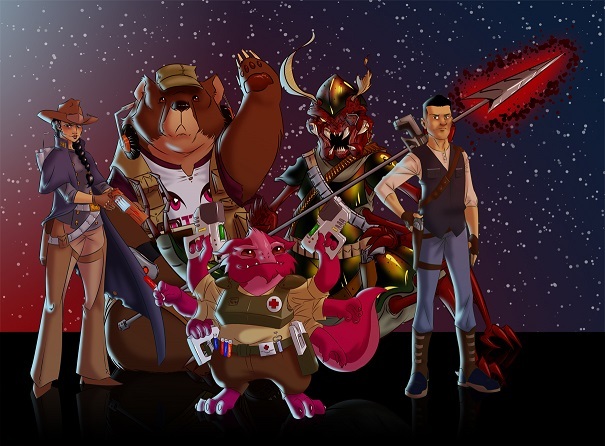 Fantasy crossover team up with Red Sona, John Carter from Mars, Tarzan, and more. Insane mashup!!! Has character builds for things like Red Sona. 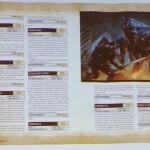 Minis Set: Deadly Foes is high utility focuses on high utility foes. Focus on the diabolical. 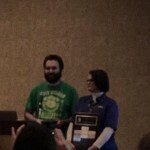 Next Article Iconic Design: Hello from PaizoCon! 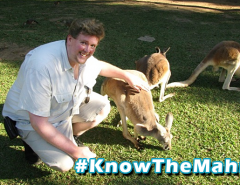 Time to start disseminating this to all of us down under. Thanks for making it easier. Perram, thanks for your work from home. It’s really appreciated.